Cantref Gwaelod are a dog agility club that train at the Celaeron Equestrian Centre near Aberaeron, Ceredigion. 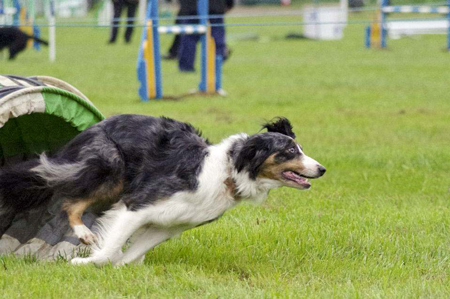 We run weekly training sessions and cater for absolute beginners to seasoned agility competitors. 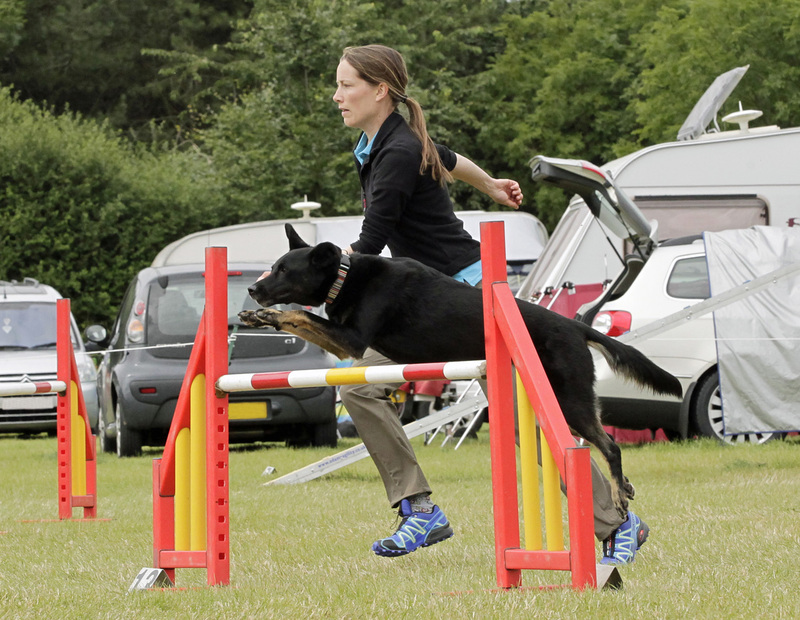 Our methods are always positive and rewarding for your dog and if you are new to agility – be warned – you can get hooked very quickly! 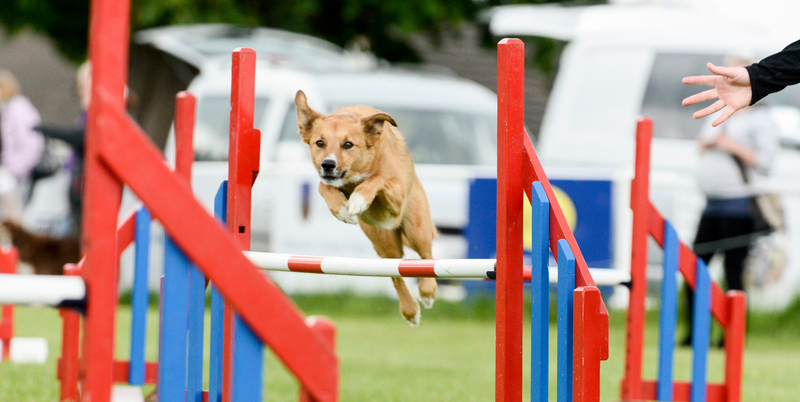 Whether you want to explore another avenue for training whilst bonding and having fun with your dog, or you’re interested in competing and even going all the way to Crufts and Olympia, our friendly agility club in mid-Wales has a class for everyone. Cantref Gwaelod are a dog agility club that train in Mid-Wales, just a few miles inland from the pretty harbour town of Aberaeron. Our training ethos is to make the experience a positive one for dog and handler alike! We currently meet at 7pm on Tuesday nights at Celaeron Equestrian Centre near Aberaeron. We run two groups, one for complete beginners and the other for the more experienced dogs and handlers. These range from those doing it for a bit of fun for themselves and their dogs to those competing at the top levels of the sport. We currently have nearly 40 members on our books, many with multiple dogs – it is an addictive sport! None of the trainers are paid for their hard work, it is all done for the love of dogs, and long may it remain so. We pride ourselves on being a friendly and egalitarian club, with someone always available to support dogs and humans in good times and bad. We hope to continue to grow from strength to strength! Starts at 6pm prompt – please arrive 15 minutes early to help set up equipment. This class is for those dogs and handlers that are familiar with agility equipment and are ready to start learning how to run a course. Starts at 7pm prompt – please arrive 15 minutes early, ready to start at 7pm. This class is suitable for new handlers, young dogs and also less confident dogs. The training sessions will introduce the agility equipment and agility handling at a pace suitable for each dog and handler. Note that any puppy under the age of 18 months will not be able to go over the jumps but will be able to run through the jump wings. This class is for those dogs and handlers that are familiar with agility equipment and basic handling techniques and are gaining confidence in handling courses up to 20 obstacles. Starts at 8pm prompt – please arrive 15 minutes early, ready to start at 8pm. This class is for those dogs that have good obstacle independence and for handlers keen to improve their handling skills. Most members of the advanced class are actively competing nationally in UKA or Kennel Club agility shows. 7pm – please arrive 15 minutes early to help set up the equipment, ready to start at 7pm. This is a two-hour session for dogs and handlers in the advanced class. Competition Night training focuses on sequences and allows more time to practice handling that might be encountered at a show. how time flies when you are having fun!